WHAT??? It's been 2 weeks since I last posted to my blog??!!! Crazy!! Work keeps getting in my way! 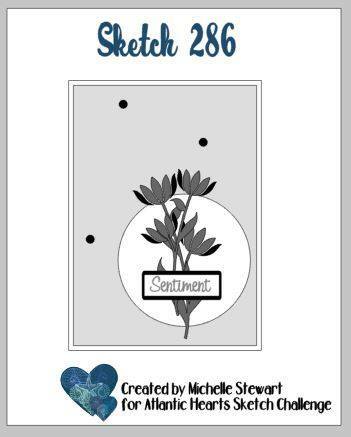 Well today I have a sketch and card to share with you from Atlantic Hearts Sketch Challenge. At first I didn't know what to do with it...then I quit thinking so hard and then something popped in my head!!! Haha! Yep, here's my card, using the wonderful Falling For Leaves bundle. I love that lacy leaf die cut. A super simple card to create, especially when using pattern paper to help out! I used the Nature's Poem dsp and based my color palette on that. Who knew Blackberry Bliss, Grapefruit Grove and Petal Pink were meant to go together!! 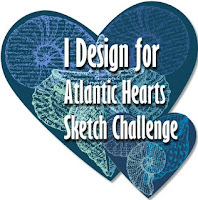 Now let's see how you interpret the sketch from Atlantic Hearts Sketch Challenge! Can't wait!! !